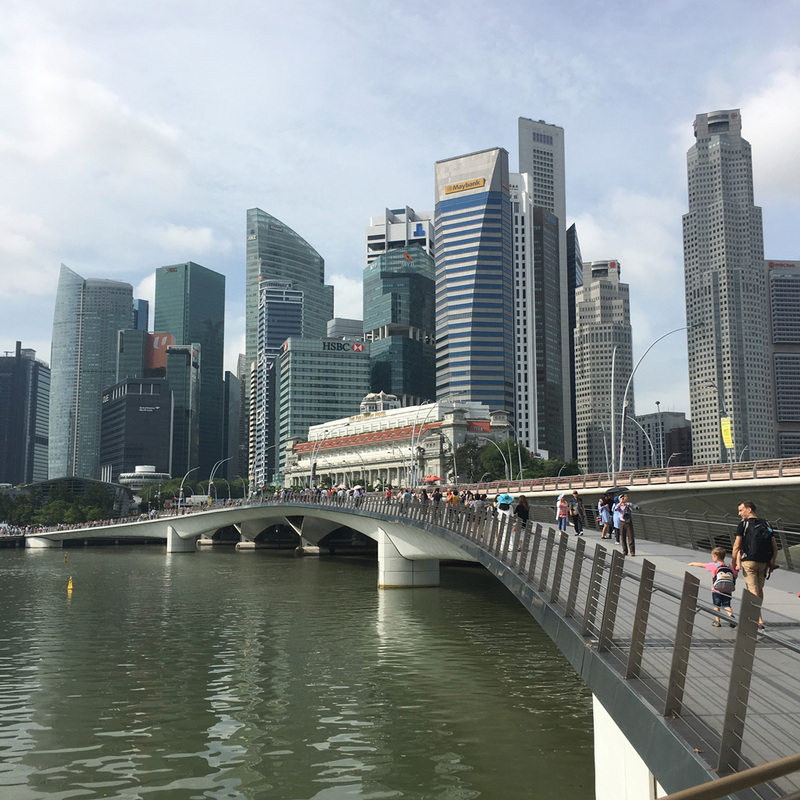 Singapore on a budget–is it possible? 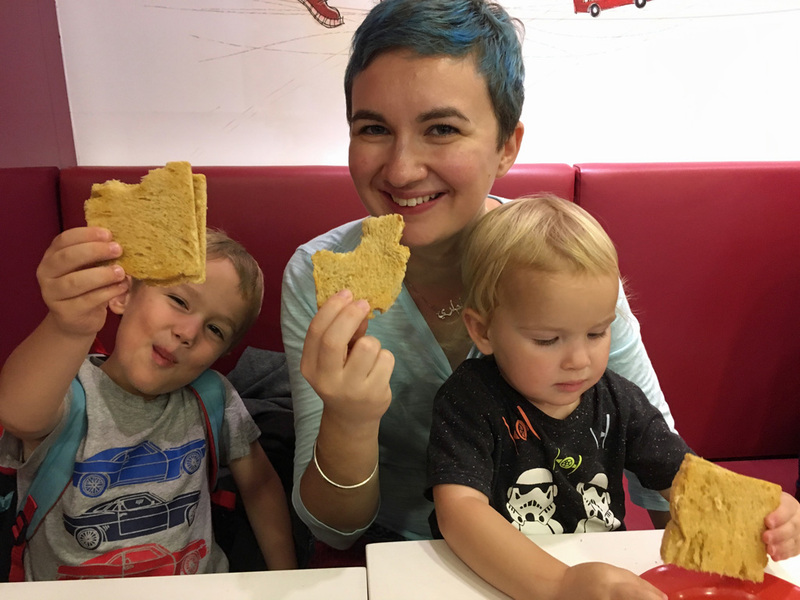 What about Singapore with a family on a budget? Why yes. 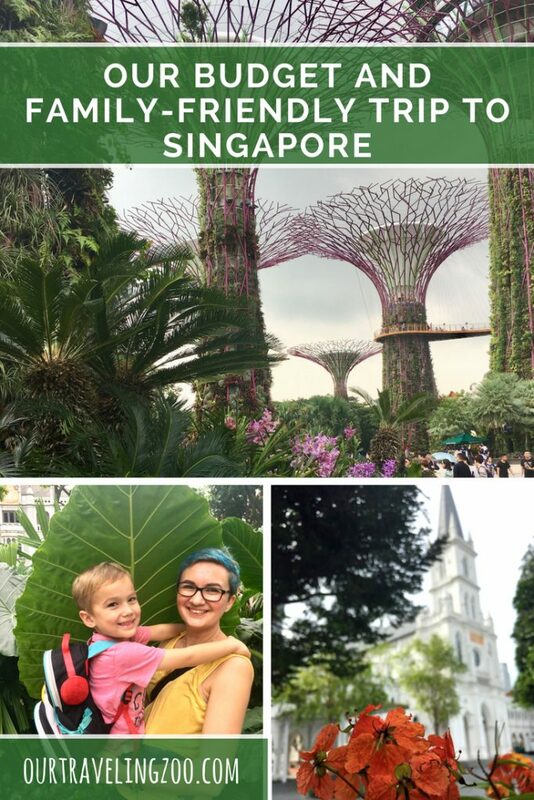 Let us tell you how we managed a budget and family-friendly Singapore trip. First of all, though, we want to say that Singapore was easily our favorite city we visited during our big Asian Adventure in January and February 2018. Some say it is sanitized or lacking in character, but we strongly disagree. It’s truly multicultural, English is widely spoken, and we found much to do. We only spent three days, and if we had it to do over again, we’d have spent a couple more. Talk about being a city full of greenery, right? Look at the size of that leaf! Another reason we loved Singapore is because it is the anti-southeast Asia. It’s orderly. It’s well-planned and easy to navigate. It’s pretty, and it’s clean. There is a reason it’s nicknamed the Garden City, as there’s a ton of greenery. The architecture is a splendid mix of old and new, and it all balances nicely. Living as we do in South China, we are fairly accustomed to cars ignoring stop signs, electric scooters zipping along the sidewalks, and a certain amount of disregard for what we Westerners consider common courtesy. There was none of that in Singapore. Cars went where and when they were supposed to; sidewalks were used exclusively by pedestrians (and bicyclists); and people were as courteous as you’d expect anywhere in the West. “Singapore is like London in Asia,” our friend John said. He was right. It’s got that same sense of polish and attention to detail. Now, most everybody knows that Singapore is an expensive city. Also, most everybody who reads this blog knows that we don’t like to spend a fortune when we travel. So back to our original question. 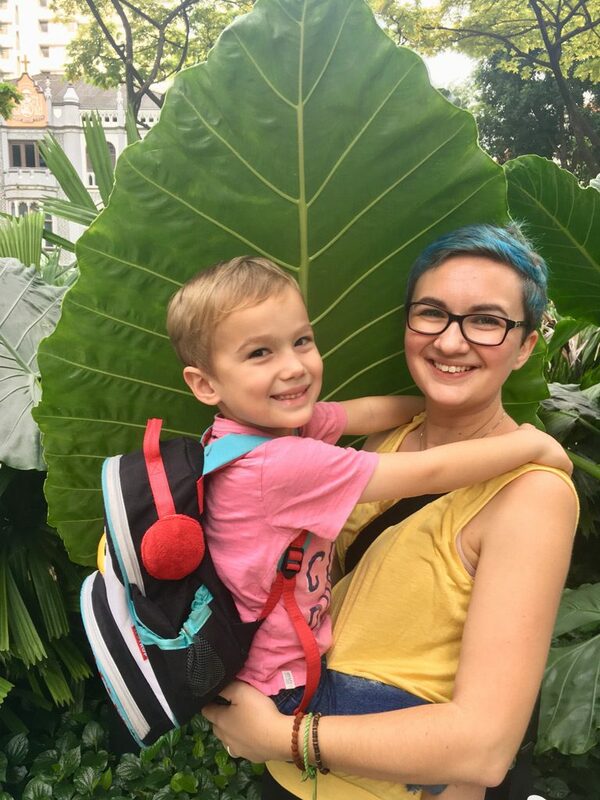 How did we get by in Singapore on a budget, and what did we find to do for three days that fit our style? Here it is, in short. We did simple things! We booked a hotel that wasn’t expensive. We didn’t go to Sentosa Island, crammed as it is with theme parks and clever ways to part folks from their hard-earned. We enjoyed wandering, and we deliberately sought out affordable places to eat. Here’s the story in more detail. We booked a room at Santa Grand Hotel in Bugis which was close to the Marina, but which was quite affordable by Singapore standards (but pricey compared to hotels in Malaysia). A short hike from the MRT (don’t call it the metro; people won’t know what you’re talking about), this was a pretty good location to explore from, and Bugis itself turned out to be fun. The hotel featured a breakfast which was, well, honestly, just passable (we could make our own kaya toast, so there was at least a bit of local color), and the kids loved the small rooftop swimming pool on the fifth story. The room was unremarkable, but that fit the bill perfectly. Now, on to the highlights! 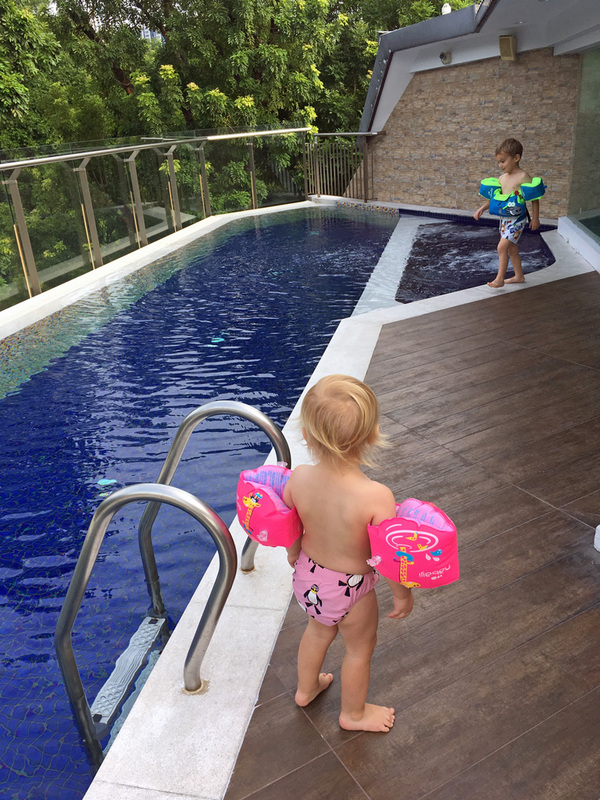 The kids loved the rooftop pool at the Santa Grand in Bugis. Budget Friendly Activities: FREE First! Free activities are our favorites, and we love being outdoors, so here are three places we went that were cool and free, and a fourth activity for photo-snappers. 1. Gardens by the Bay. Man, what a place. We could probably have spent the whole day exploring there, but we were too cheap to ante up payment for entrance into the paid areas, and we really wanted to explore further afield as well. 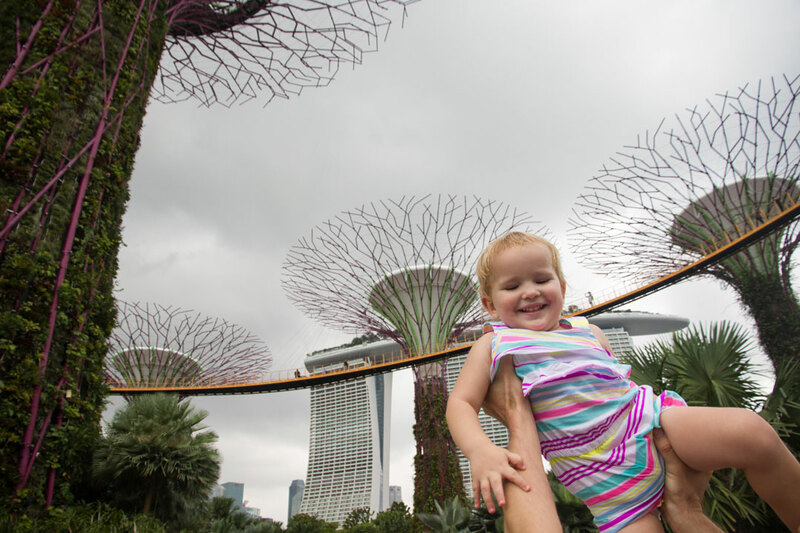 Singapore’s Gardens by the Bay is a wonderful destination for a budget conscious traveler. There is a visitor center, a couple of eateries (including the inescapable McDonald’s), a big splash pad and 2 fantastic playgrounds (one for very young kids, one for older kids). 2. Marina Bay. What better place to marvel at the amazing architecture of Singapore than this? Marina Bay’s fascinating architecture is topped off by the Marina Bay Sands resort with its distinctive triple towers. We walked slowly around the bay, and our toddlers were highly disappointed that the Merlion was covered for cleaning or renovation. We settled for a small fountain nearby instead. There are lovely walking spaces and bridges here, and beautiful places include the Clifford Pier which is always open to people like us taking a leisurely stroll through it. A stroll along Marina Bay offers great views of the city’s modern skyline. 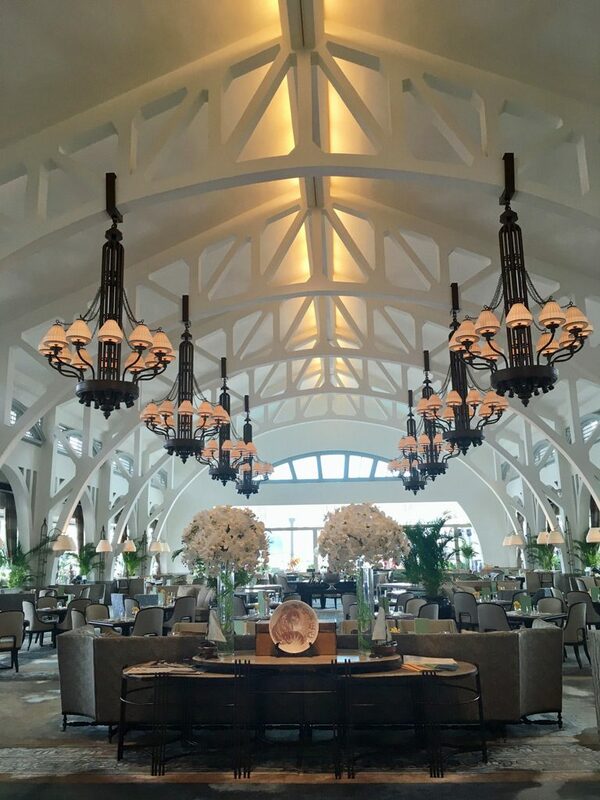 Clifford Pier is a gorgeously revamped pier! 3. Fort Canning Park. We happened to end up near this park on the way back from Clarke Quay, and naturally, seeing stairs, I led us up them. Jenia wasn’t happy about the stairs, but it was so pretty up there that she soon forgot her misery. Well, it was the beauty and the fact we got rained on, which distracted her. Despite getting a bit soaked (we’d been advised to take an umbrella along, which was tremendously helpful) we didn’t care too much. 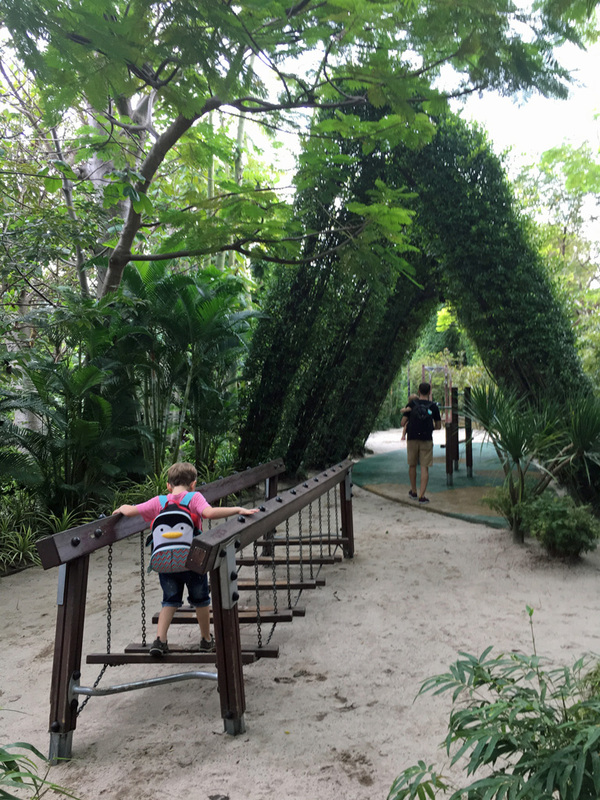 The kids could run along the paths and we could marvel at the amazing banyan trees and splendid flora. We’d go back and spend hours here. The tree in the background is one of the massive Burmese Banyan trees in the park. 4. Try to photograph interesting architecture or the splendid flora. That’s harder to do than it seems, as it takes an eye for detail and composition, as well as, here’s the thing for us, patient companions (turns out toddlers and 4 year olds aren’t renowned for waiting around). There are many, many interesting buildings (an Art Deco skyscraper in Bugis, for example, or an apartment complex of pastel colored towers). 1. Search for cheap food. Try mall food courts. These are not a collection of fast food joints like McDonald’s; they’re basically local food stalls. You can eat tasty stuff cheaply here. We had a few local dishes and freshly squeezed fruit juice for about 10USD. 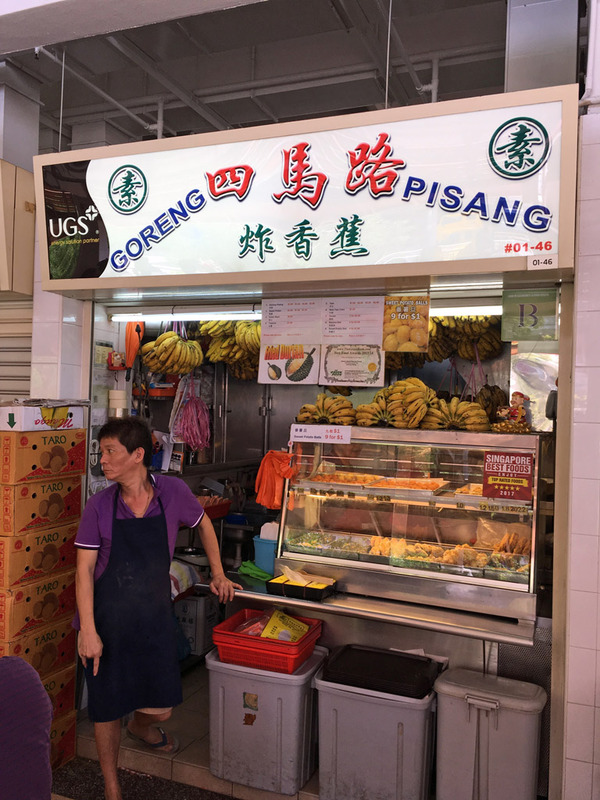 Go to hawker centers, where local dishes are hawked at affordable prices. They’re worth a trip for the food! Goreng Pisang are fun to try–battered, deep fried bananas, they’re probably not going to win any health prizes, but they’re unique and tasty. Go to an Indian restaurant. Generally they’re cheap and very authentic. Get a scrumptious cream puff from Beard Papa! Or maybe try one of the toasts from Ya Kun Kaya Toast, the most famous kaya toast place in town, and have a coffee, too. It’s cheap! 2. 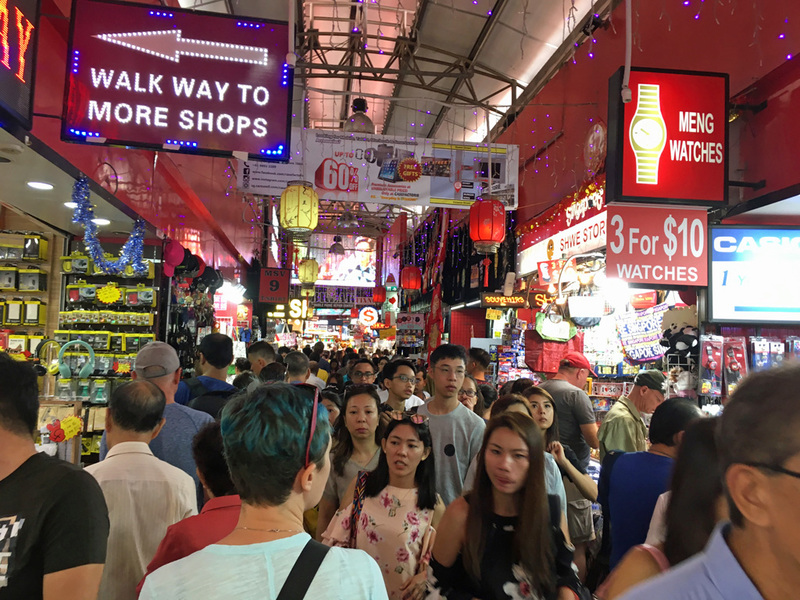 Pick up a few inexpensive souvenirs somewhere–we took our time and eventually found some goodies at the Bugis Market, which was hectic but entertaining, if a bit stressful with the little ones. Not for the faint-hearted, Bugis Market is nonetheless a neat place to visit for a souvenir. That’s really it. In the case of “cheap” activities, that doesn’t seem like much, does it? Still, we didn’t find ourselves lacking for things to do. We loved the ease of navigating Singapore, and we liked that even if we found ourselves off track, we still enjoyed our surroundings. In fact, when it comes down to it, we didn’t need to do anything particularly notable to enjoy the place. We found that its abundance of green space and general orderliness made it a nice place to simply wander around. 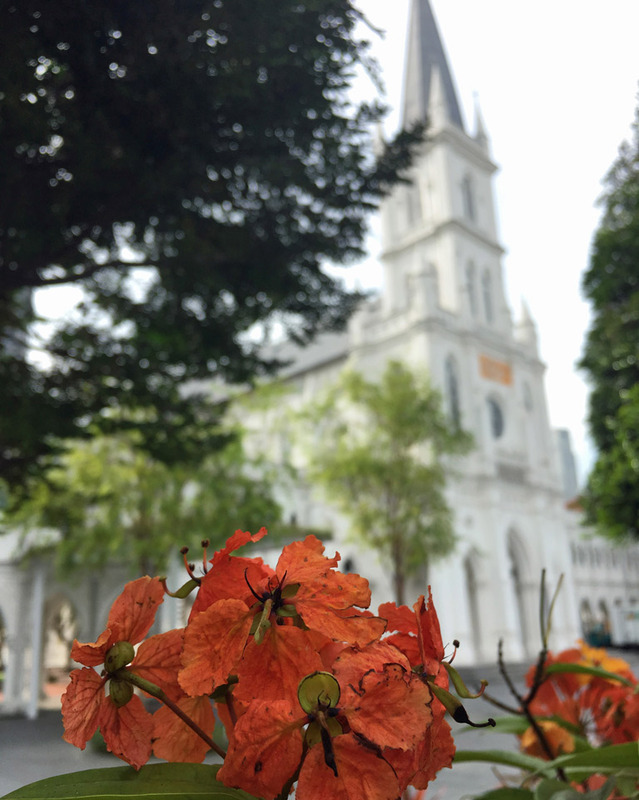 Summing it up, Singapore on a budget is completely possible if you take advantage of the parks, don’t spring for a fancy hotel or an expensive day at Sentosa Island, and you make an effort to dine at inexpensive eateries. 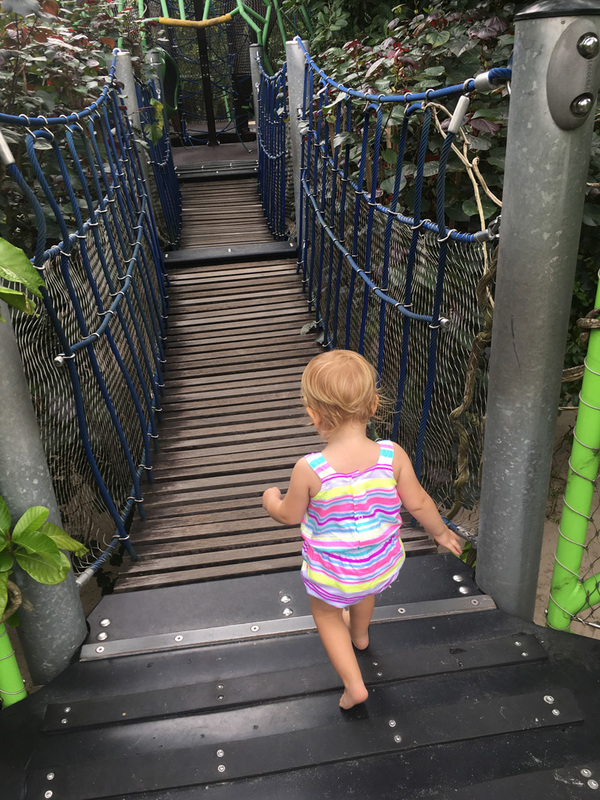 If you want to see the one thing we splurged on while in Singapore, check out our post describing Breakfast with Orangutans. This looks so cool. I always find London is a good place to go on a budget if you know what you’re doing, but the UK doesn’t have street food really – Singapore looks insane and I hadn’t thought about it before, however now you’ve convinced me! The buildings look insane too and I love those street food shopping malls! We love London as well. The food options are really diverse, so you can’t go wrong! If you go, we’d love to know how you like it! That looks like a fab trip! I’d not have thought of the mall food court at all, but it’s a great suggestion for getting some good budget-friendly food. I’ve never been more than 24 hours in Singapore, so I haven’t had to dig too deep into my pockets, but this would definitely encourage me to stay longer without worrying about my bank balance. I’d particularly love to see the gardens; that looks exactly like my kind of thing. I hope the merlion got a good scrub and glad that your little ones were easily distracted! I’ve always heard that Singapore was expensive so these are great suggestions to keep in mind! I would love to visit those gardens! I hope you get a chance to one day! The gardens really are gorgeous. I only used the mall tip once in Los Angeles near the Walk of Fame and it worked great. Not only did we find good cheap food but we were able to get our parking comped too! Singapore sounds like a place we need to add to our list. Walkable city, green space, and good food… I am in! I just love Singapore it is such a beautiful city but you are right, it can be really expensive. 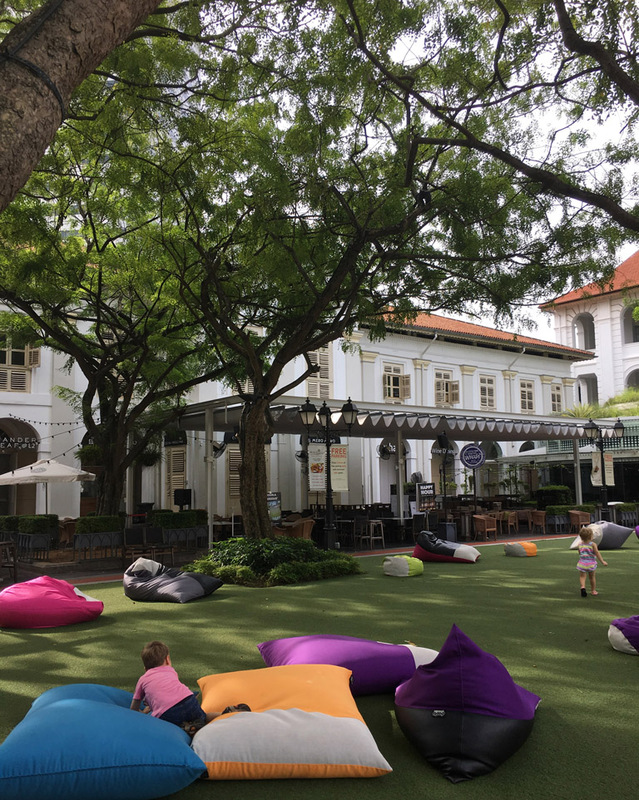 The place you stayted at Santa Grand Hotel in Bugis sounds interesting and at least they had toast for you to eat and it was in a good location to explore with the kids. I still have to tick off Singapore from my bucket list. 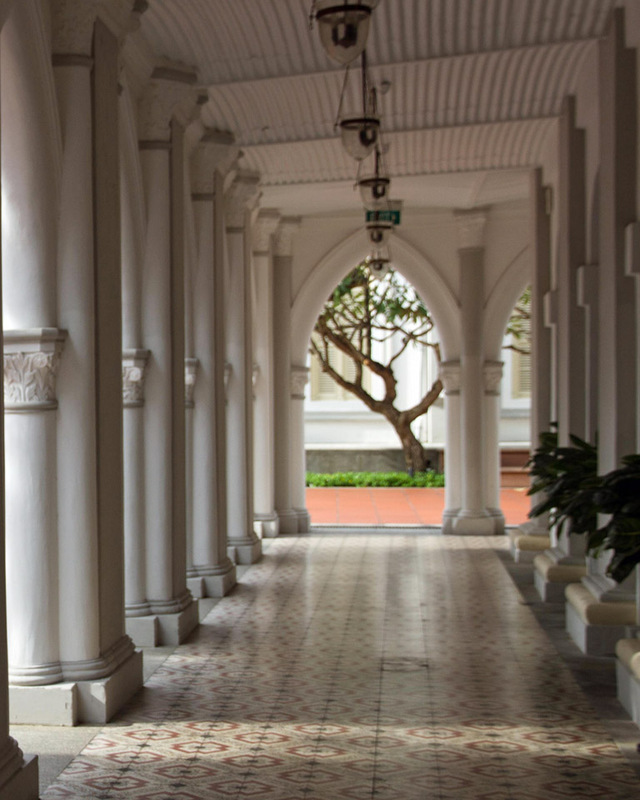 The cultural diversity, varied delicious foods, stunning architecture and gardens make Singapore a worthy destination. Thanks for reminding me about all that. I’m especially looking forward to visiting the hawker stalls and the different ethnic communities. Yes, be sure to pay the hawkers a visit! You have listed many budget friendly tips for affordable holidays in Singapore. It is good to save when on holidays for frequent travelers. Also eating at Indian joint must be great because getting delicious Indian food at pocket friendly prices. Thanks for sharing! While Singapore is definitely more expensive than the surrounding countries, we were able to also stay budget between hostels and food courts. 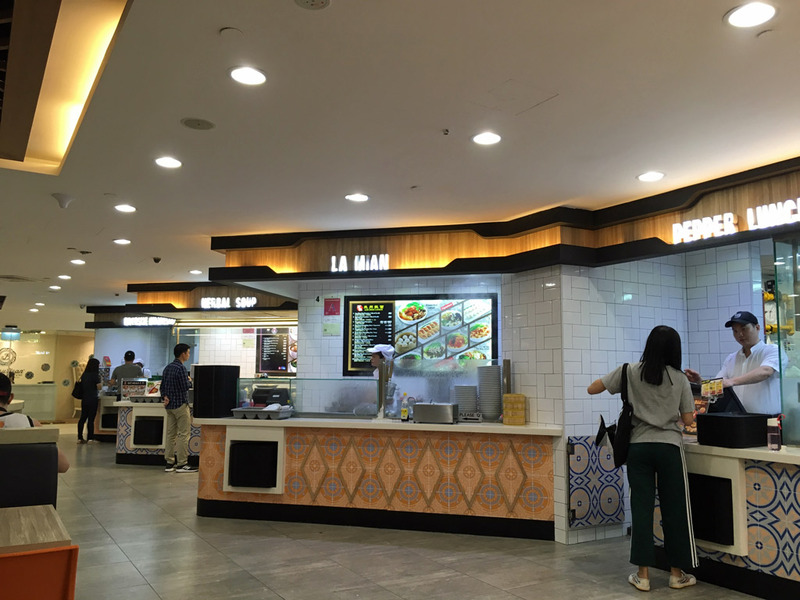 Ah, the food courts – the choice, the diversity, simply crazy! And it is very accessible thanks to the MRT. The Gardens by the Bay were also our favorite, what a place this is for sure! Yes, hostels are a good option for saving pennies! Thanks for mentioning that! Glad to hear you also loved Gardens by the Bay. 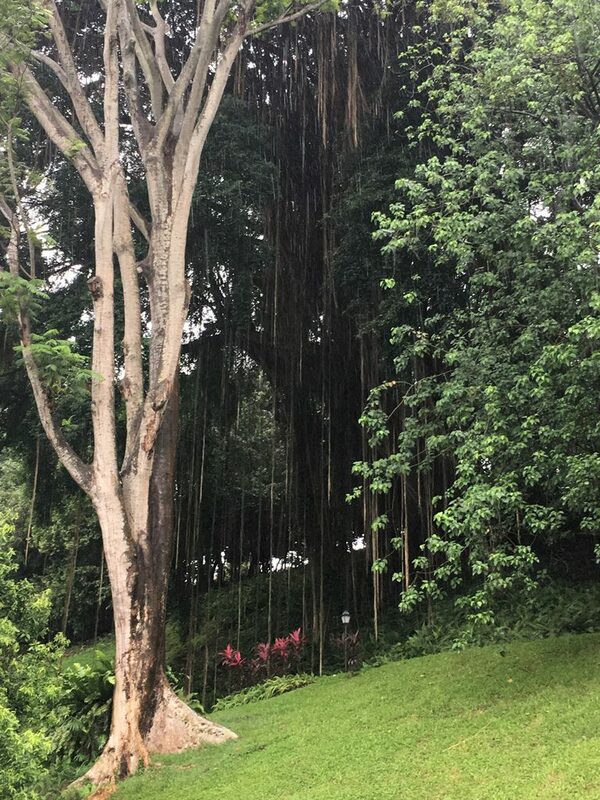 The parks are absolutely lovely in Singapore,m! Especially Gardens by the Bay with its curious trees. Where was the photo taken that has a large, green te long with cushions to sit on and a colonial style building in the background? I don’t remember seeing that one. It’s at CHIJMES. I left the caption out when I was writing code to position the photos. CHIJMES is really beautiful. It was a Catholic convent and school for a while, and these days it serves as a multifunction center, including a number of restaurants in that building you asked about. It was a great place for the kids to play. My sister totally loves Singapore and whenever I tell her that I don’t want to go there because it looks too European and too clean and expensive she’d try to tell me stories to prove that it’s not that expensive after all. Haha.. So I’ve heard that food courts in the malls are not only less expensive but also very tasty (unlike food courts here in eruope). Ah, the Gardens by the Bay have been on my must-see list for a long time…I do think I could spend an entire day there. And Fort Canning Park looks great, especially the banyan trees. It’s always good to include a park for the kids to burn off energy. Great article. You guys will love them, whenever you get there! Thanks for the comment! We did enjoy it a lot if you can’t tell from the post! The food was great! Jenia developed quite a passion for Laksa! Singapore is in my bucket list and going to be my next trip. I am getting information from everywhere before going there. Thanks for sharing the information. You’re welcome, Jenny. Thanks for checking us out! As a local, I couldn’ agree more with everything stated in this post, Shon and Jenia. 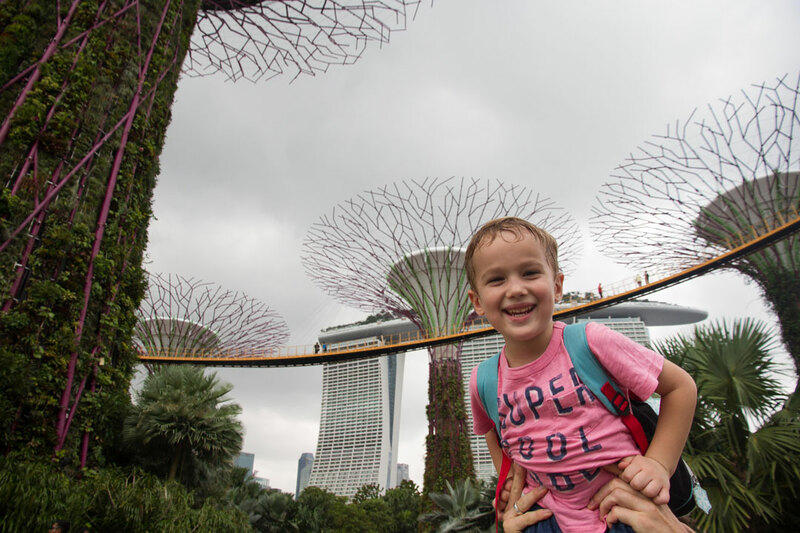 Singapore is astonishing and it is definitely possible to explore it on a budget and a perfect place for family vacation! Well, thanks, Lydia! I’m glad you agree, for you ought to know better than anyone!